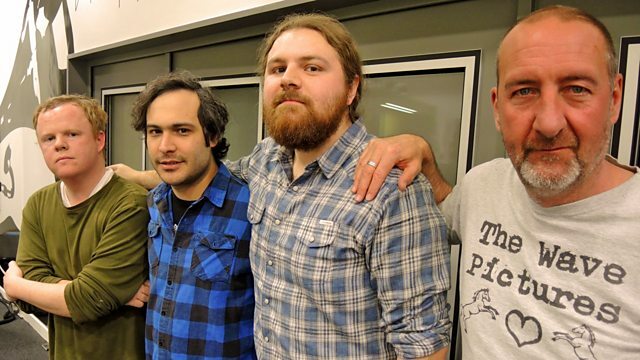 Marc has a session from the intriguingly named lo-fi Philadelphia band Purling Hiss. Joining Marc tonight is the intriguingly named group Purling Hiss. The Philadelphia lo-fi band started out as Mike Polizze's solo experiment in 2009 and soon fleshed out into a full trio after Kurt Vile asked him to open some shows on tour. After the success of their records, Water on Mars, Weirdon, Dizzy Polizzy and Hissteria, they're continuing to create crazy punk-y riffs accompanied by raucous rock. Perfect for a Riley session then. Blank Generation: The New York Scene. When I Reach That Heavenly Shore. That's Your Wife On The Back of My Horse.